Throughout automotive history, coupe was a term used to describe a two-door car. Enter the Volkswagen CC. First introduced for 2009, the four-door midsize car was dubbed a coupe by its German creators, much to the chagrin of purists. Those who argue the case for a coupe with more than two doors claim the term really refers to a car's roofline, which is low and sleek. Using this argument, the CC delivers. With its wide stance and athletic profile, this sporty four-door looks and drives like a luxury vehicle, no matter what you call it. Built on the Passat platform, the Volkswagen CC is a cooler-looking alternative to its more traditional sedan sibling. Unfortunately, its chic styling takes its toll on practicality. The low roofline makes for greatly reduced rear headroom, and the cabin generally has a less spacious feel all around. Still, for those who don't mind the cozy dimensions, the Volkswagen CC is a sophisticated alternative in a sea of vanilla midsize sedans. The 2013 Volkswagen CC gets revised front and rear styling, along with a usable rear center seat, which allows the CC to seat five, unlike pre-2013 CC models, which only had room for four. Volkswagen says the old seating arrangement was a top reason many shoppers failed to purchase the CC. The 2013 Volkswagen CC lineup includes two new trim levels: a 2.0T Sport Plus with 18-inch wheels and navigation and a VR6 Lux model that comes with leather upholstery, navigation with 6.5-inch touchscreen, rearview camera, heated headlight washer system, and memory function for seating and mirrors. As with most Volkswagen models, the CC interior design is stylish, yet simple, with high-quality materials. The cabin feels racy due to the steeply raked windshield and distant dash. It's cozy inside and there isn't as much front legroom as in the Acura TSX, Nissan Maxima or Lexus IS. The rear bucket seats accommodate just two in cozy comfort with decent legroom but limited headroom. Cargo space is small for the class, comparable to that of the Lexus IS. The Volkswagen CC comes standard with a 2.0-liter turbocharged four-cylinder engine rated at 200 horsepower and 207 pound-feet of torque. On our test drives, we found it powerful and smooth. It uses front-wheel drive and is available with a choice of 6-speed manual or 6-speed automatic Direct Shift Gearbox. Volkswagen CC VR6 models use a 3.6-liter V6 rated at 280 horsepower and 265 lb-ft of torque, mated to a 6-speed automatic transmission. An all-wheel drive version of the VR6 is available, but is pricey. Volkswagen CC comes standard with front-wheel drive, and 4Motion all-wheel drive is available for slippery conditions. UltraSoft Luxury Fleece-Lined Car Cover Breathable Protection - Size Small 145" - 157"
What Sports car manufacturer is owned by Volkswagen? 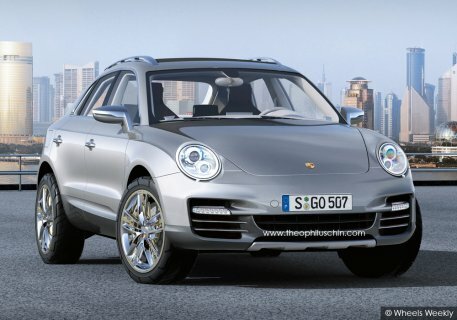 Porsche and Volkswagen have recently merged together. ! The Audi Q3 (internally designated Typ 8U), is a five-door compact coupé crossover by Audi that was launched in 2011. The Artega GT is a mid-engined, rear wheel drive 2-seat sports car produced by German manufacturer Artega. The GT is currently Artega's first and only model for sale.